Have you heard? 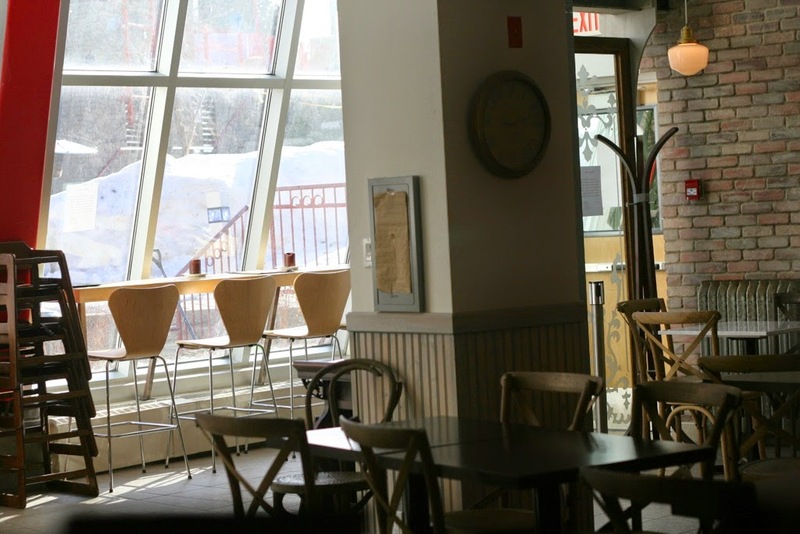 If you are in Edmonton, this past saturday marked the first Edmonton Coffee Week running from March 7-15, 2015. For the next few days there are several participating coffee shops and events all featured around coffee! Now, I for one cannot live without coffee! 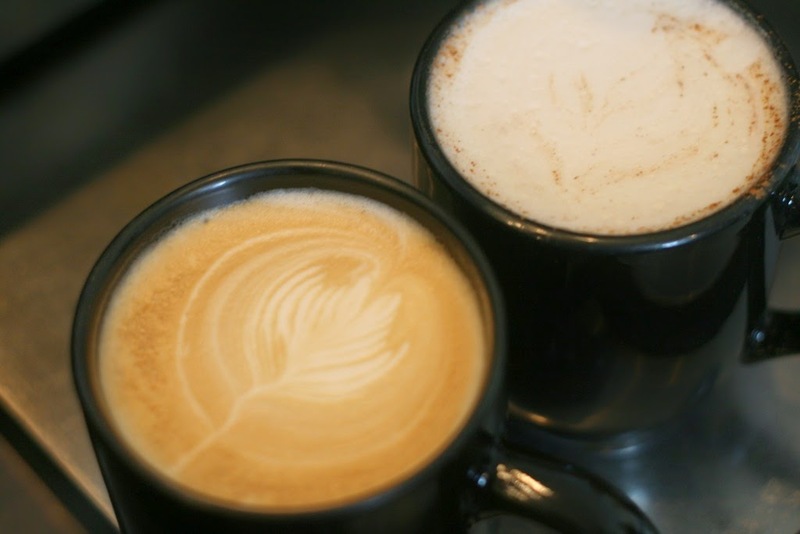 So, who doesn't love learning about how to make latte art and all the beautiful creations that could be made on those mochas, lattes, and chai teas? So, I was super excited when the opportunity came up to learn some latte art from François at Cafe Bicyclette. 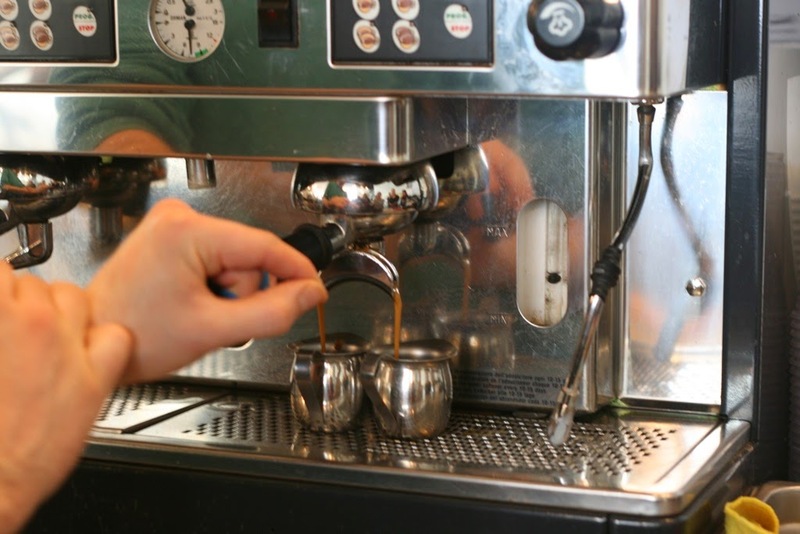 Before we even get into the latte art, you need a shot of espresso. Make sure you get the right grind on your espresso (not too coarse and not too fine). 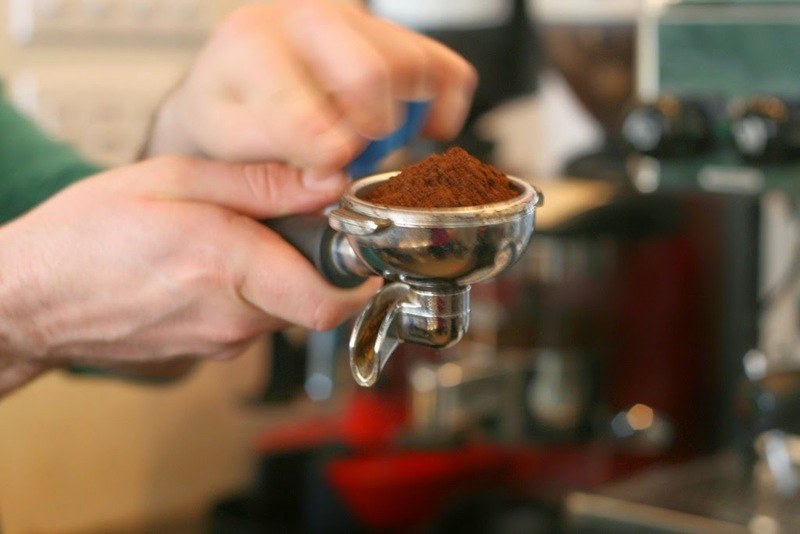 Once the espresso grinds are piled up in the portafilter (like the photo below), you tamp it evenly. Fit the portafilter into the espresso machine (there are grooves to guide) and make sure it is tight. 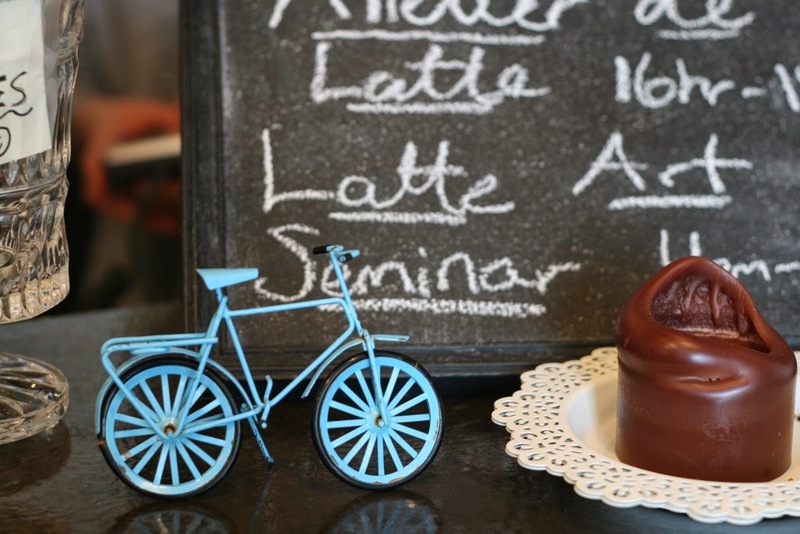 Too loose and espresso will go everywhere - which is apparently not a pretty sight! Also, ensure there are no coffee grinds in the espresso cups before running the espresso through. Once the espresso is done, pour them into your cup. Then, pour the cold milk into the milk frothing pitcher. François did mention that using whole milk is slightly better as it helps to give a nicer look to the latte art. Plus the milk stays creamy. Heating the milk was the tricky part for me. You had to make sure that it didn't overflow or get too hot. Once the milk frothing container is hot to the touch than it is done. Using a milk thermometer probably would be helpful as you are learning to ensure that the milk isn't burnt. 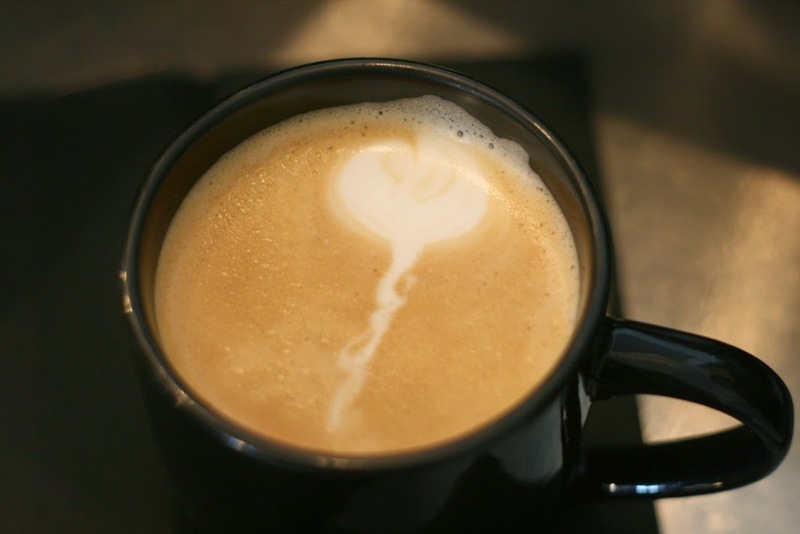 Now, the part everyone wants to perfect is the actual latte art! You do need to multi-task as you need to quickly wipe down the milk steamer while swirling and tamping the hot milk to get the bubbles out so it will be creamy. 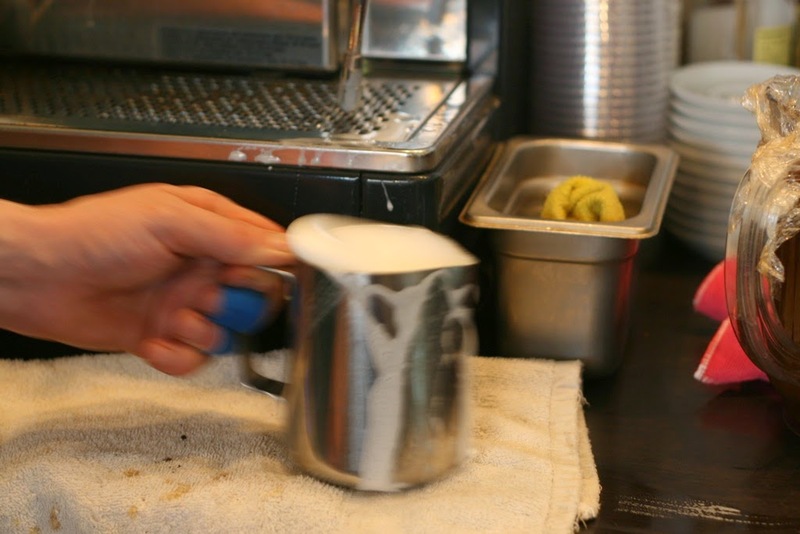 When it comes to pouring the hot milk into the cup with the espresso, there should be no hesitations! Below, is my attempt at a heart or more like a heart shaped balloon! So, it was without a doubt a fun hour introducing me to latte art! I think practice would make perfect! And, clearly that was a great latte as I am wired enough to write this post at 12am. Hopefully there will be more opportunities to learn about latte art in the future. In the meantime, I might try watching Chef Steps - Latte Art to hone this skill. 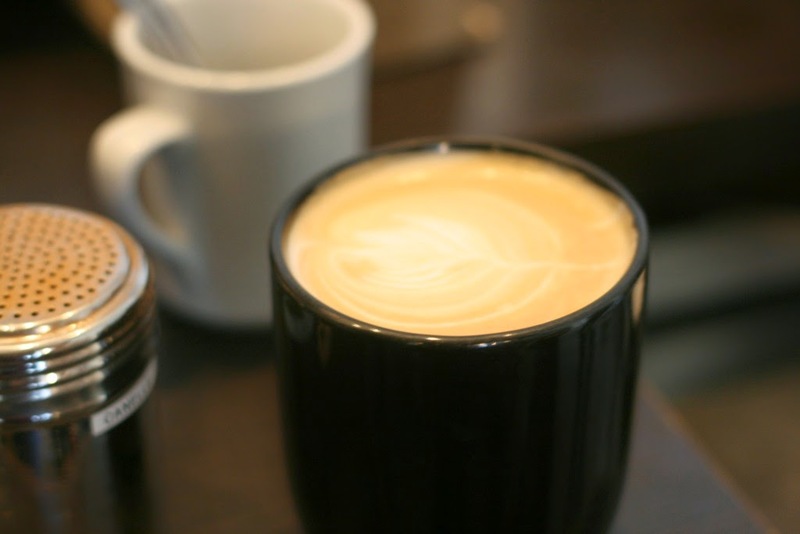 If you have a chance, check out all the other Edmonton events for YEG Coffee Week or visit a local coffee shop for a latte or two! 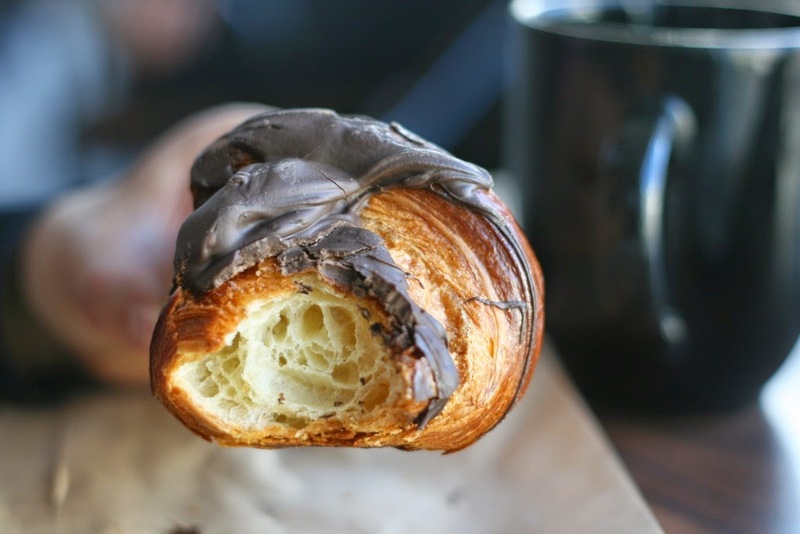 Couldn't leave without buying this amazing pain au chocolat to have with my latte.